On May 12th 160 people including WineCollective’s David, attended a great event held at Local 002 in Calgary, ‘Beer and Burger Night for Cystic Fibrosis’. The event raised awareness and funds for research and treatment of Cystic Fibrosis. Blair and Sandra Smith hosted the event, raising money to support Blair’s second time cycling the 1200km treck from Vancouver to Banff with GearUp4CF. The ride took place June 16-24, and to date this year’s efforts has raised over $232,000. In Calgary alone, 350 people suffer from this deadly lung disease where 1 in 25 people are genetic carriers. It is an inherited disease with no cure. You can learn more about the disease from Cystic Fibrosis Foundation Canada. WineCollective and Tannic helped by contributing a WineCollective Evolution (4 bottle) & Cartier (2 Bottle) Package ($130 Value) along with a 1 Year’s Membership to Tannic.ca ($195 value.) Through everyone’s generosity and hard work, the event raised over $14,000 for CF research. WineCollective and Tannic are very proud to be able to support this extraordinary cause. 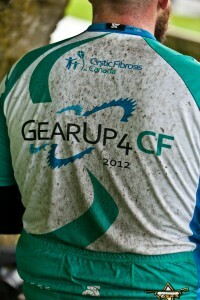 To view more photos and find more information on the event, visit GearUp4CF.